Cold Steel FGX Skean Dhu – 92FSD is nightshade Series of knives. It is completely undetectable. It is made from Grivory which is a kind of reinforced fiberglass plastic and tougher than Zytel. 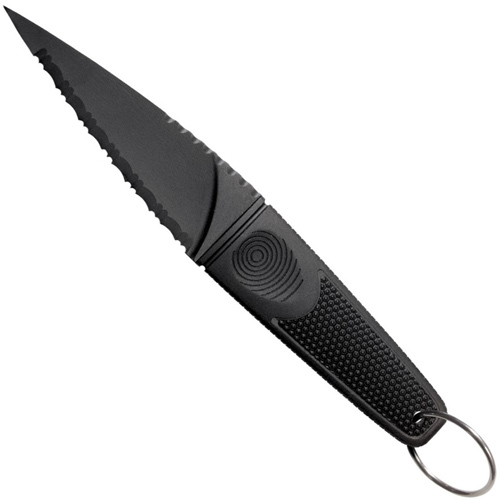 The knife is molded with Kraton and offers an ideal grip to the user. It never warps, cracks, splits or rusts in any type of climatic condition. With its sleek and curvy body, it can hide anywhere in the house. It has a total weight of 0.95 oz and the thickness is 6mm. The blade is 4 inches long with 3.34 inches long handle. It comes with the warranty.